Hip Baby Blog: There's an octopus in our window! There's an octopus in our window! 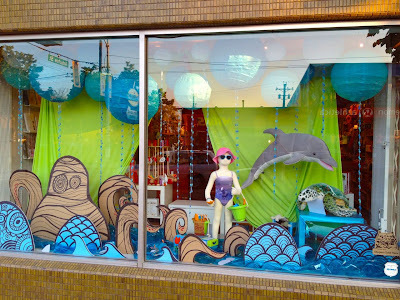 Jen outdid herself in conceiving and executing this month's window display and is certainly one of the most playful windows Hip Baby has ever created. We are on the west coast after all and having fun in the water is one of the summer's great pleasures in BC (no, I didn't mean the rain!). 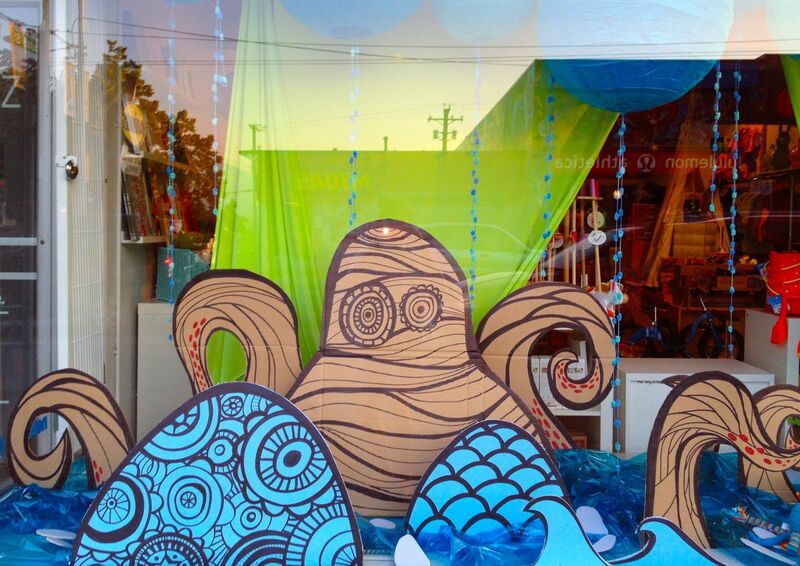 Kids love the friendly looking octopus "swimming" in the underwater world framing the front of our store.